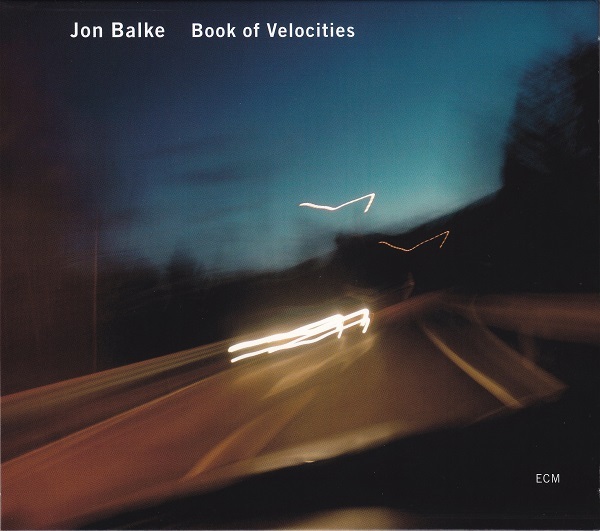 In a catalog rich with singular artists, the ECM discography of Jon Balke is without parallel. On Warp, the Norwegian pianist retracts his improvisational claws into even deeper levels of possibility, seeking connections between sound, environment, and the infinite spaces that blur where one ends and the other begins. It’s more than a formula, but a philosophy that has guided his work for the label from the very beginning. Combining freely rendered passages on the piano, recorded at Oslo’s Rainbow Studio, with field recordings and electronics, he doesn’t so much guide the listener as allow himself to be guided as one through uncharted landscapes of expression. Despite the many kinds of samples, ranging from sounds captured in an Istanbul mosque to an airport announcement read by his daughter Ellinor, there is a uniformity to their purpose as substance. In this sense, it’s almost counterintuitive to spotlight particular tracks over others: each is a vital organ that cannot be removed without compromising the entire organism. The album, then, is more like a film shot in one take, each scene coordinated through a meticulous rehearsal of script, foley, and camerawork—a remarkable feat, given the collage aesthetic at play. From the beginning, internal dialogues are the norm, whether through abstract meanings or their material production. Much of the latter is metallic in origin, torn from broken machines and other castaway objects yearning for recovery. Shades of church organ lend sanctity to memories that have no purpose but to shed their skin to make room for one degraded copy after another until only stillness remains. Although it’s tempting to interpret all this as an exercise in nostalgia, its sheer presence is enough to dispel such staid notions of emotional suggestion. Rather, it bleeds as if to remind us of its vitality, filling a cup so transparent that every gesture shows through. And when voices sing, they touch a finger to its rim, ringing out with astonishing contrast. Warp is that rare exemplification of “ambient” music in that it doesn’t create atmosphere for the mere sake of it, but with such a sense of physicality that listeners can’t help but feel like they’ve walked through someplace neither sacred nor profane, but content in having been graced, if only once, by our attention. 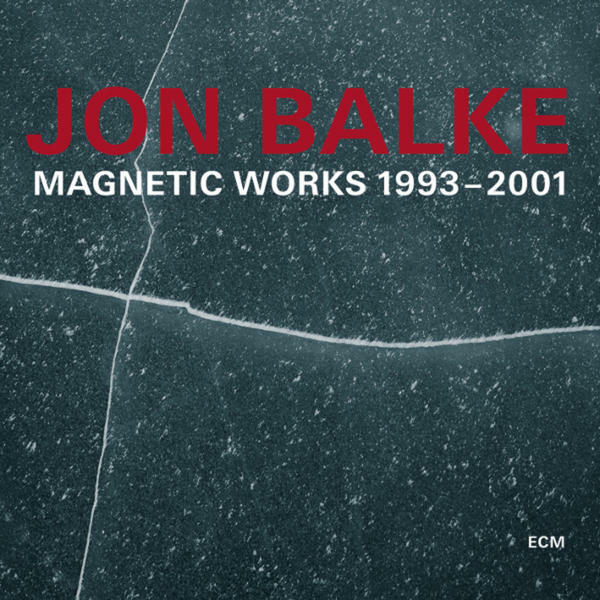 Magnetic Works confirms keyboardist and composer Jon Balke as one of the most important and eclectic voices of Norwegian jazz. 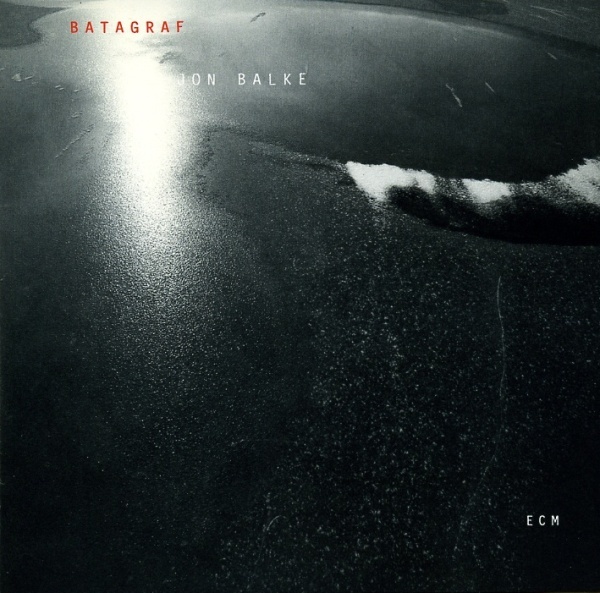 Collecting tracks from two ECM albums and nine of ten tracks from the long out-of-print Solarized (originally released in 1999 on the EmArcy label), this 2-CD set is an instant archival gem. 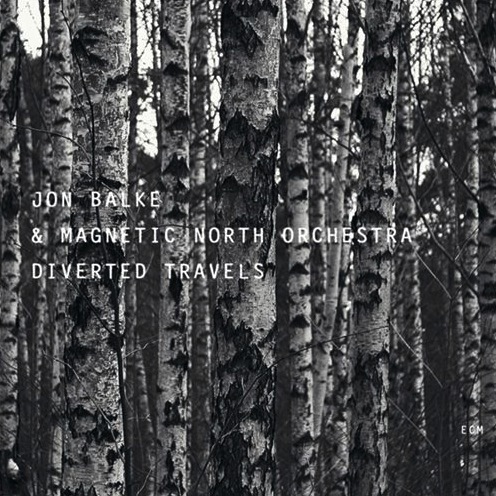 In his liner note for the compilation, Balke describes the music he played with his influential Magnetic North Orchestra as having been “written to allow the individual musicians to enter an optimal playground for their expressivity.” Achieving this was no small feat, but listening to these musicians negotiate their personalities by way of the group’s collective distribution promises fascination for the Balke fan and newcomer alike. Although anyone who owns Further and Kyanos will find nothing new among the selections from those albums, hearing them shuffled in the present context is sure to bring about new relationships and nuances. Released in 1994, Further was the MNO’s label debut. “Departure” opens both album and compilation with an incantation of reed and brass. It’s a full-throated welcoming into a space abundant in elemental colors. The swinging undercurrent of “Changing Song” is picked up by strings and Per Jørgensen’s distinctive vocals, while drummer Audun Kleive and percussionist Marilyn Mazur flesh out the ecosystem of its unfolding. Balke, meanwhile, emotes at the piano through this lush climate with all the freedom of a bird. In this vein, “Flying Thing” expands on the percussive delicacies at hand, bassist Anders Jormin laddering down into the gears of a most intimate machine. Balke then leads a Brazilian-inspired groove, gliding just under the radar of the horns. “Horizontal Song” is a nostalgic piece of heaven. The string section relays pizzicato accents and arco trails while the horns and percussion flock to bass like wings of shadow to a flame. “Moving Carpet” is another rhythmic standout. So open yet so fully plumed, it boasts a soaring turn from saxophonist Tore Brunborg. “Taraf,” with its lovely altoism from Morten Halle, could very well be a Michael Mantler elegy. The ascending bass line of “Shaded Place” most clearly evokes its title. Like a napping stranger whose dreams are visible in a hovering cloud, it turns but does not wake. Balke and Jormin dig deep for emotional treasure and come up with handfuls. Solarized sits between these two abridged albums, finishing Disc 1 and beginning Disc 2, as if it were somehow too expansive to contain in full. The rolling snare of “Present Position” ushers us into a substantial sound. Jormin’s bassing is weighty and, in this outing at least, indeed the most magnetic force within the group. Balke follows a linear, faceless figure through catacombs of spontaneity, mapped by the string players as Jørgensen’s trumpet lights every torch in the castle. The title track switches above ground. Through-composed beginnings lead to some beautiful leaps from Halle, who reaches catharsis with a hard-hitting altissimo. A phenomenal exercise in rewarded patience. Jormin glows again in “Dark And Slow,” in which trumpeter Arve Henriksen exhales his way through those oaken walls with ease. Like a heartbeat made manifest, “In Degrees” emotes in the name of survival and ends with a satisfying growl. Because Balke is never one for being longwinded, at nearly eight minutes “Curve” might seem gargantuan were it not for the smoothness of its contours. This is such a visual track, with streets and pedestrians clearly discernible through the fog. The looping “Circular” is a steady but varied groove, Kleive leading all the way. Trumpet and violin double one another in “Vertical,” a short track that feels like a scene in a novel you once read and forgot about. “Encoded” sports an upbeat piano trio vibe. And just as there is nothing cryptic about it, neither is “Elusive Song” difficult to grasp. You can hear the wiping of strings along the piano’s edges, and the trumpet’s swan song touching a hand to the window. 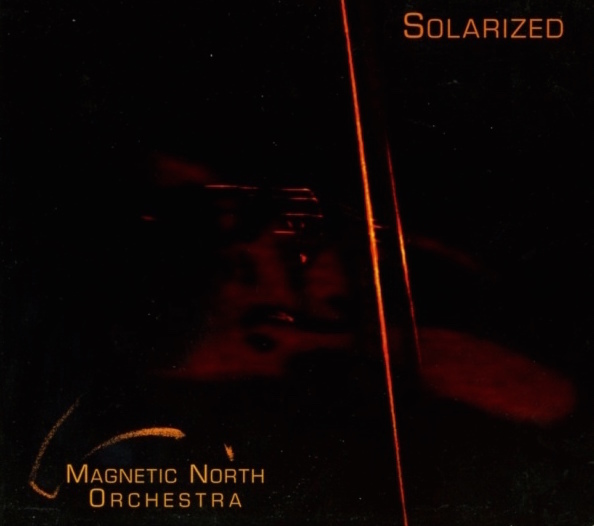 It’s just as well that the seventh track of Solarized, “Linear,” should be left out, for there is nothing linear about the goings on documented here. Balke and his cohorts are champions of neglected songs, and this set ensures those songs will never be neglected again. Jon Balke’s Batagraf project may feel for some to be an indecipherable thing. Yet beneath its calligraphic rib cage beats a primal language. It is both the life force of rhythm and the rhythm of life force, a generative cycle wherefrom speech unloads its dreams into the transport of a welcoming ear. At the core of this incarnation are Balke himself, percussionist Helge Andreas Norbakken, and drummer Erland Dahlen. To these the session adds the voice of jazz singer Emilie Stoesen Christensen and the poetry of Torgeir Rebolledo Pedersen, read in its original Norwegian by the author. The latter augments some of the album’s most tetrahedral drumming, attaching roots and stems to the muted pianism of “Calmly” and shuffling its tongues in the garden of breathy synths that is “The Wind Calmer.” Further engagements include “Hundred-Handed” and analog textures of “Winds.” Balancing these are the vocals of Christensen, who in “Riddle #1” and “Riddle #2” fleshes out Batagraf’s philosophy most succinctly. These twisted songs of unanswered questions are gyroscopes forever wobbling but never falling. Unsettled rhythms and piano work their way into the subconscious, where knowledge is questioned, answers are deflated, and the clothes line from which every spoken word hangs trembles in anticipation of a new wash. As in the song “One Change,” Christensen embraces all of this as easily as she abandons recognizable words. As for the drummers, we find them in manifold spirits in the tender “Baka #65,” and of an especially intimate mind in “Everyday Music” and “Vjup,” for the last of which Christensen embarks on a whimsical deconstruction of masculine pride. The level of psychological extraction realized here shows just how adept these musicians are with intellectual needles and sonic threads. Whether following the Jon Hassell-like current of “Tonk” or digging the IDM beat of “Azulito,” they all seem fully present in the moment. Norbakken’s concluding yet inconclusive “GMBH,” the only track not written by Balke, finds even more beauty in distortions—layers of an archaeological dig, each with its own color and interlocking history. By unbinding words from their referents, they learn to swim with the minnows. Statements represents a leap in intuition for pianist Jon Balke, who by way of his self-styled “private research forum” Batagraf holds a meeting of percussionists Kenneth Ekornes, Harald Skullerud, Helge Andreas Norbakken, and Ingar Zach, along with Frode Nymo on alto saxophone, trumpeter Arve Henriksen, and an array of voices that includes label familiars Sidsel Endresen and Miki N’Doye, the latter making his second ECM appearance (his first: Balke’s Nonsentration) and here not as percussionist but as poet, reciting texts in the language of the Wolof people of West Africa. As one of ECM’s most up close and personal records (there’s hardly any reverb to speak of), Statements unfolds nakedly, transcending the heavy touch of technology in favor of the freer language of acoustic drums. Indeed, language flows through this project like blood, whether through actual or implied speech. Despite its organic charge, Statements occasionally dresses itself in the peculiar fashion of postproduction. The mélange of instruments and distorted speech that is “En vuelo” reveals wires for veins. “Doublespeak” refracts likewise. Less Orwellian nightmare than Aristotelian breakdown, its word choice flirts with impropriety. Another example in this regard is “Pregoneras del bosque,” a bazaar of the mind whose fruit is weighed by the emotion. Electronic beats and croaks share the air with live murmurings of hand on drum. The final triptych, however, forms the pièce de resistance. In “Pajaro” toddling echoes of childhood linger against a din of buzz saws and insects. All of this encrypts the data entry point of “Karagong,” an archival glitch that reveals its skeleton in “Unknown.” Here uncertainty is the norm, a world through which denizens go on teetering for another hit of oxygen. This is the new ecology, a scrape of survival, anointed by fear. 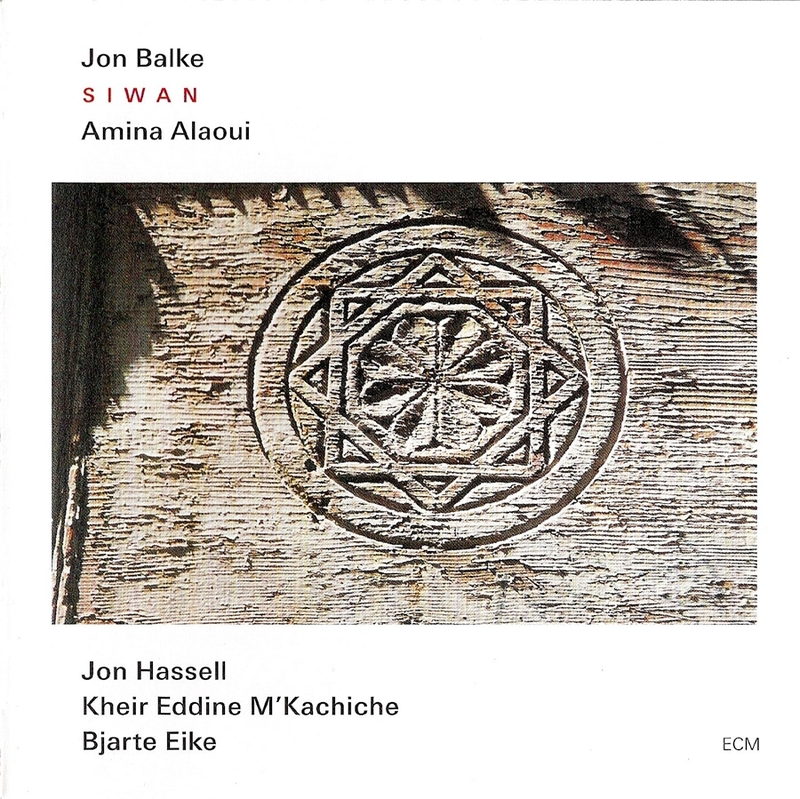 Statements again proves Balke to be one of the most consistently surprising and uncompromising artists in ECM’s stable. Those seeking points of comparison to this particular disc may find them in “Betong,” for which the closest analogue would be the proliferations of the late Bryn Jones (1961-1999), a.k.a. Muslimgauze, bonded as it is by a likeminded politics and disdain for injurious media, spoken through the drum. In both is a misunderstood flag that flaps only when the wind of our attention shifts its way. Tagore’s statement harbors an implicit question: Does vitality necessarily correlate with velocity? Wittingly or not, Jon Balke would seem to have an answer in this unique album. After a series of memorable appearances on ECM as sideman and group leader (notably, in the latter vein, with his Magnetic North Orchestra), we at last find the Norwegian pianist unaccompanied. The title alone is enough to place the music in a modern tradition of fragmentary collections: Bartók’s Mikrokosmos and Kurtág’s Játékok come most immediately to mind. Yet listening to what Balke has done with both form and instrument, one quickly realizes the profundity of his crafting. Divided into four Chapters and an Epilogue, Book of Velocities extricates the finer implications of its elements—improvised and composed alike—via thorough examination of the piano itself. By way of introduction, “Giada” flutters between plucked piano strings and dotted punctuations at the keyboard proper. The descriptive cast of “Scintilla” that follows sets the stage for a procession of dreamlike actors, each a cipher for something elemental and transfigured. Other examples in this regard include “Single Line” and “Double Line,” “Gum Bounce,” and the nail-scratched mysteries of “Finger Bass,” the latter droning in Gurdjieff-like meditation. Many pieces, like the penultimate “Sonance,” exert an organic influence of exhale and inhale, of speech and pause. Indeed, the deepest moments are those least audible, as in the non-invasive contact of “Resilience,” in which one finds the piano’s fantasy life made real. The bodily nature of the music thus shines at carefully selected moments of expression. Whether in the substrate of its own becoming or in the opacity of its outer skin, Balke’s language refashions grammar through every contour. In this respect, the poignant “Drape Hanger” is among the more precious turns of phrase and foreshadows the photorealism of “Scrim Stand,” undulating in real time. The mirrors of this disc are more than reflective; they are embodied, a dance between beauty and blues. Slowly and surely, Balke turns paths of teardrops into channels of blood flow. This is his art distilled in a crucible of origins until pure feeling remains. It transcends the need for means and returns to the sky whence it came. 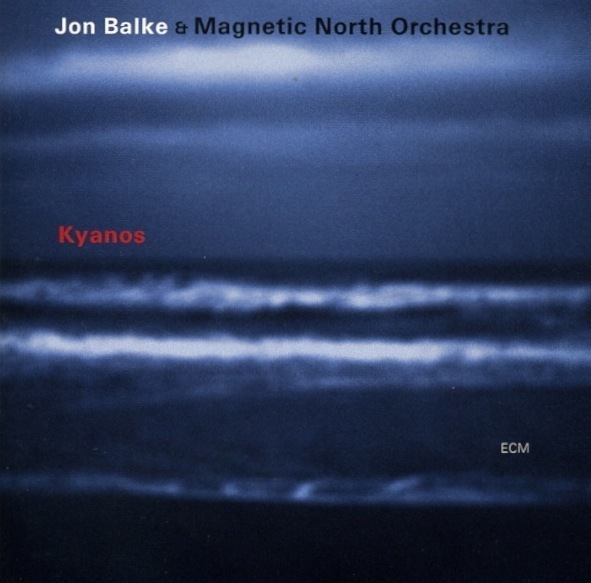 For his third Magnetic North Orchestra release (following Further and Kyanos), pianist Jon Balke pools together a new band of Scandinavian talent under the same name in the project’s most focused iteration to date. With only trumpeter Per Jørgensen retained from the original lineup, the overall effect is that of a watchmaker and his apprentices turned composers. Such attention to detail has always been part and parcel of Balke’s recognizable approach, but nowhere more so than in the facets of Diverted Travels, where it manifests in shorter pieces, a few of which hover on either side of the one-minute fence. The reconfigured roster reveals itself in the album’s wealth of intimate sub-combinations. The breathy horns and electric piano of “Sink,” for instance, turn ice into water and set a climatic precedent for its companions. “Machinery” sets the clockwork beat to which the band tunes its heart. The chamber aesthetic so vital to Balke’s aural psyche sings with vibrancy here. Indications of his encounters with West African music are already apparent, clarifying themselves in such pieces as “Nutating,” “In Patches,” and “River,” in which the pulse becomes the melody. The latter’s muted trumpet is especially organic and foils the waterwheel motions of its backing with genuine augury. “Climb” is another energizing walkabout with all the makings of a nervous breakdown yet with none of the weak spots. Agitations darken into a lullaby beneath a giant eyelid closing to reveal the starlit canopy of its inner surface. “Columns” boasts the unmistakable vocal stylings of Jørgensen, whose tense histrionics slalom like an aria from a lost Michael Mantler opera through spokes of arid strings. The trumpeter reveals further mysteries in “Deep,” working his craft through the prism of saxophonist Fredrik Lundin amid a smattering of percussion. Likewise, the mysterious “Downslope” is an album highlight. Rendering molecules of horns within a sul ponticello fringe, it turns air into breath and breath into bodies, footsteps audible on the plains as they balance a hunter’s lance atop the scalp of the setting sun. In the shadow of this piece is “The Drive,” a drone of stunning capacity. At nearly seven minutes, “And On” is the longest selection, a storm that utilizes the full force of the MNO to evoke changes in atmospheric pressure. Balke’s pianism is wondrously compact, running tighter and tighter circles until it expends itself with jouissance. How else to deal with this than by “Falling,” which brings together the three violinists and Jørgensen’s recorder-like throat in ashen harmony, signing off this love letter to cloudy skies with a taste of antiquity. For Kyanos, Jon Balke continues the journey begun on Further with an assembly of likeminded label mates—among them trumpeters Per Jørgensen and Arve Henriksen, bassist Anders Jormin, and drummer Audun Kleive—under the moniker Magnetic North Orchestra to ply the glaciers of the Norwegian pianist’s nostalgic compositional approach. Many permutations of the album’s title (which means “blue” in Greek) find purchase in the album’s intimate geography. “Mutatio,” for one, unpacks the depressing implications of the color, trading piano-heavy gestures with soft punctuations from the MNO, each a hope sidestepped in favor of seclusion. “Katabolic” tells the same story but reverses the formula, fronting Jørgensen and Henriksen against intermittent swells of synth. “In vitro” seems to speak in the language of the color itself, as if it were an entire species with specific taxonomic histories and genetic signatures. Balke’s introduction to opener “Phanai” is the most evocative of them all, dancing like sunlight between tree branches. Sudden intakes betray a drama waiting to leap out into the wider world, finding instead the slow entry of percussion and brass. The feeling is one of a giant sleepwalking through forest as if it were underbrush. 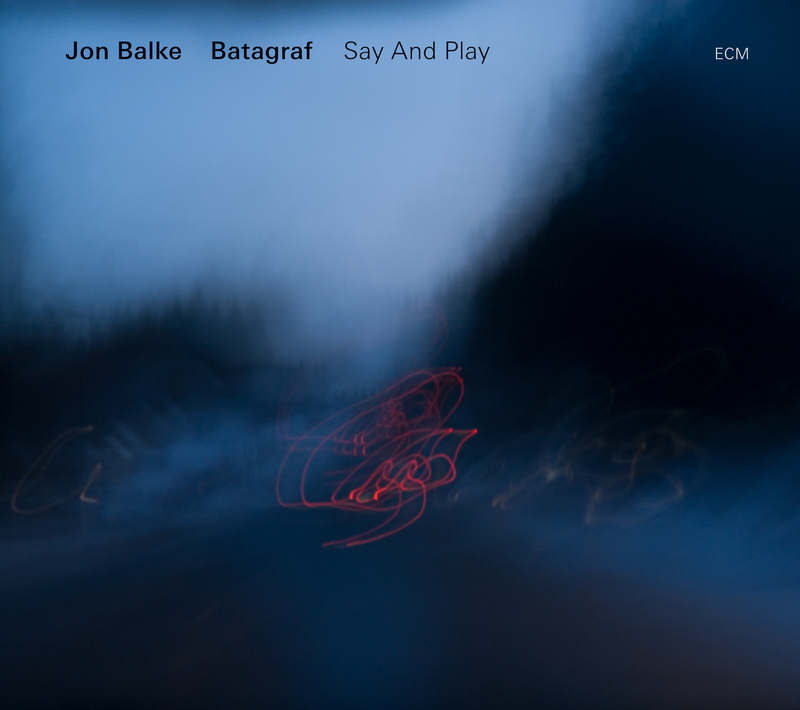 Balke and Jormin’s rhythmically savvy interplay bleeds contrast. With insectile harmonics and trembling heart, Jormin bounces along the inner walls of “Zygotos” with a string of genetic possibilities while the surface around him glows to the horns’ intervals, though nowhere no delicate as in “Ganglion,” a masterful conversation between Balke, Jormin, and Kleive that is the most microscopic portion of the set. Haunting accents from flutist Morten Halle and cellist Svante Henryson indicate a world much farther away, a place where the eddying winds cease only for the fearless. A prevalence of biological imagery in the song names characterizes this album as a mapping of bodily spaces, thus clarifying the ultimate nuance of blue: namely, as the stain beneath a cover slide. The title track is the most concentrated solution to be found on this laboratory bench, enhancing as it does the emotional details of everything around it. Just turn up the volume as you would a focus knob, and it will all become clear. 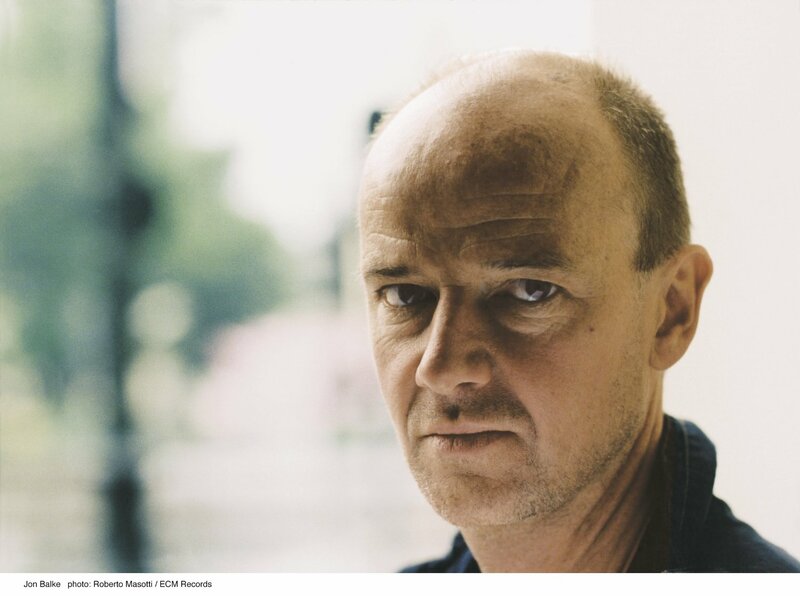 Although Norwegian pianist/composer Jon Balke has effectively been with ECM since almost the very beginning, having appeared—at the tender age of 19, no less—with Arild Andersen’s early quartet on Clouds In My Head (1975), it wasn’t until the early 1990s that he broke out on his own with such distinct albums as Nonsentration and this fine follow-up. 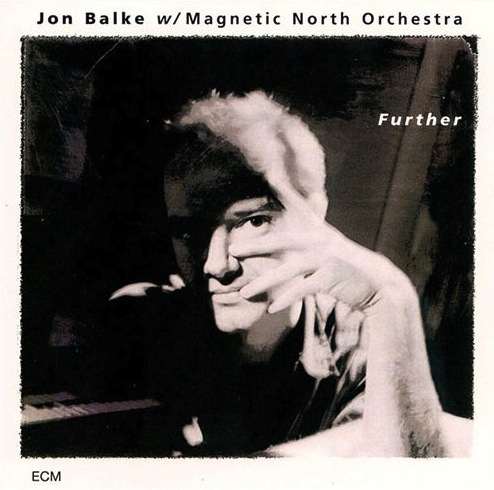 Further is not only a title, but also a mantra that has dictated his career hence through the mouthpiece of his Magnetic North Orchestra, debuting here. The incantation in horn-speak that is “Departure” welcomes us into a signature sound familiar to Balke aficionados: intimate pockets of detail, pianistic swirls, and robust horns that follow wherever he leads (or is led). Yet despite the 10-piece ensemble behind him, which includes such trailblazers as percussionist Marilyn Mazur and trumpeter Per Jørgensen, Balke finds plenty of room to breathe in arrangements as sparse as they are fruitful. His arcing lines, kissed by the sunlight and molten gold of Tore Brunborg’s reeds, take comfort in their surroundings. “Horizontal Song,” for one, languishes, letting cares fall like maple seeds propellering to the ground—prelude to Balke’s low-flying improvisations. Seemingly born to guide, he flushes through lovely chromatic spreads (“Shaded Place”) and groovy touches (“Moving Carpet”) with an easy charm, painting a children’s book of mythical beasts and cautious heroes. Balke is an artist whose music hides as much as it reveals, and Further is one way to get closer.